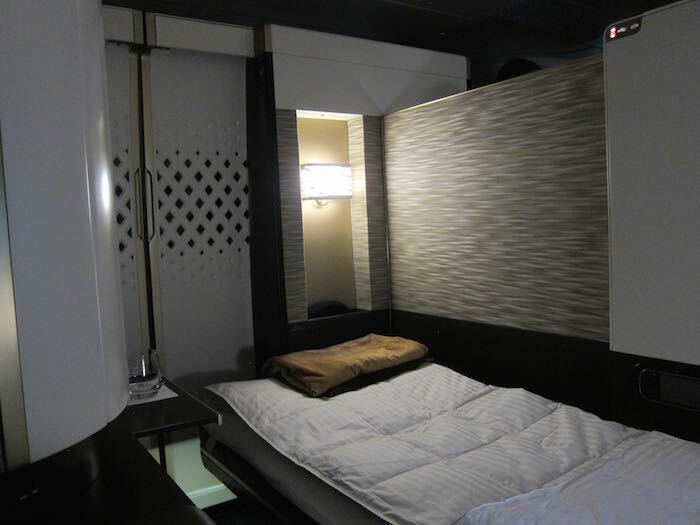 AMAZING DEAL: Etihad A380 First Class Apartment Awards Wide Open To New York! One of the most aspirational first class products in the world is Etihad’s A380 First Class Apartment, which I’d argue is the single best first class hard product in the world. Etihad launched the A380 on their Abu Dhabi to London route this past December, and has announced upcoming service on the A380 from Abu Dhabi to Sydney and Abu Dhabi to New York. The Abu Dhabi to Sydney flight will launch in about a month, while Etihad’s A380 Abu Dhabi to New York flight is scheduled to launch as of December 1, 2015. So far Etihad has been great about releasing A380 First Class Apartment award space on their flights to London and Sydney, though award space to New York has been limited. For a short while Etihad was releasing a limited amount of first class award space on the A380 to New York, though I haven’t seen much space lately. Well, the good news is that Etihad A380 First Class Apartment award space between Abu Dhabi and New York is wide open at the moment. I see two first class award seats available on a vast majority of flights between Abu Dhabi and New York between December 1, 2015, and March 18, 2016, as of now..
As a reminder, American charges 90,000 AAdvantage miles for one-way first class between the US and Middle East/India. Lastly, here’s a primer for searching Etihad award space directly through their website. Once you’ve found “GuestSeat” availability you’ll want to call American AAdvantage to actually ticket the reservation (it can’t be booked directly on American’s website). American does allow five day courtesy holds on award tickets. I loved my flight in Etihad’s A380 First Apartment, though couldn’t help but feel like the flight between Abu Dhabi and London wasn’t really enough time to experience the product. I can’t wait to experience their first class on a nearly 15 hour flight to New York. This is a fantastic use of AAdvantage miles. 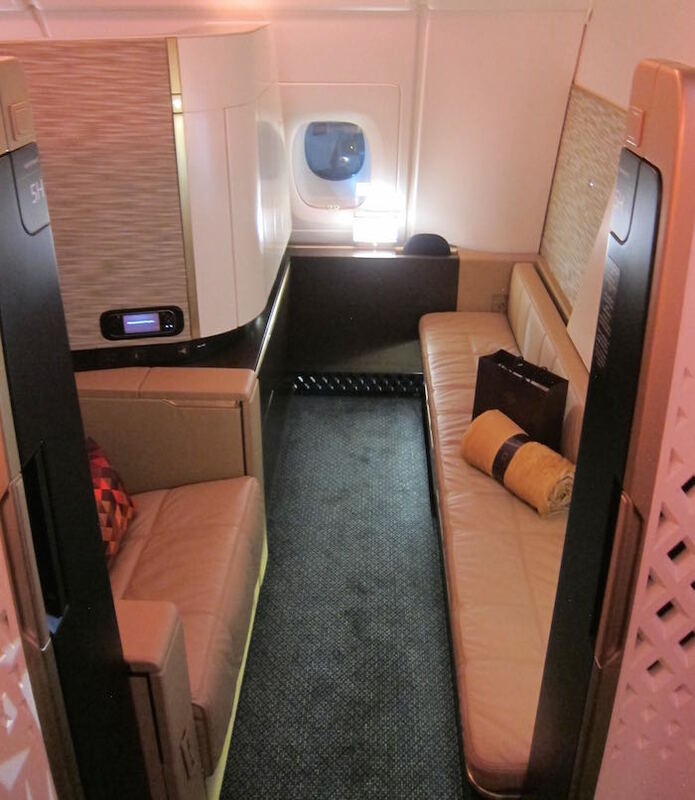 Do you plan on redeeming American AAdvantage miles for travel in Etihad’s A380 First Class Apartment? Is there any way to share an Apartment, as it is so spacious. Would make a great couples space for the flight. no, not for Delta flyers. you guys are on your own. We’ve learned over this past two years; we’ve been stockpiling AAdvantage Miles…so, yes…we can if they will allow us to share the apartment. Ben — YOU THE MAN!!!!!!!!!!!!!!!! Within minutes of seeing your post, I was on the phone with AA and changed an existing itinerary from the Jet Airways wet-leased 777 on one leg to the A380. I couldn’t do it on both legs because there was no award space on a necessary connecting flight, but at least we’ll be in an Apartment on the flight home. Anyway, I am greatly appreciative!!! We will also get to be in the First Class suites on the new 787 to and from India. So four segments in First Class suites on three different planes. By the way, for some reason, there is a tax difference of $1.40 changing from the 777 to the A380. Score!! Just upgraded two award seats from J to F on DEL-AUH-JFK next March. Lucky, You. Are. My. Hero. Does this action from EY give you encouragement that they will open up space to syd in dec?? Dang… Openings the day after I need them. Hopefully they will release more space in December. Ben–Does can you use expertflyer to set alerts for EY space? I wish I had enough miles to book from LA all the way to Sydney in First Class Apartments. Would be a killer way to get there. How long do these usually sit in “On request” status on AA before they ticket? Would it be possible to use American miles for a flight from JFK to JNB all on Etihad? As in, one ticket, can you transit the middle east on the way to South Africa? What would the mileage be if it is possible? Looking for reative ways to get to JNB. yay! you rock Ben! I switched my Jet Airways 77W flights to the A380 😀 Thanks! Had 2 J seats booked on the A380 from AUH-JFK and changed to F this morning when I saw the seats were wide open! Wouldn’t have known I could change the class of service for free if it wasn’t for an earlier post, so thanks Lucky! @ John DELTA — You need to book one per person and can’t have someone from a lower cabin visit. That being said, you should have no trouble “inviting” another first class passenger during the flight. @ Craig — Woohoo, awesome! Have a great trip! @ Dan — Space permitting I’m sure they will closer to departure, but I wouldn’t count on it, given that it’s peak season. @ Gaurav — Nope, can’t set availability alerts for Etihad award space. Sorry. @ DS — It often takes 24 hours for Etihad tickets to issue through AAdvantage. @ Rookie_Flyer — That would require two awards. So it’s possible, but it’ll be expensive. @ nazgul — Quite an upgrade. Awesome! Nice tip, but I’m already holding F nonstop on Etihad from lax to Auh. Not sure it’s worth the extra time in the air -looks like in would require me to take the redeye to JFK , making it two overnight flights. Any chance lax-Auh becomes A380 by January? thanks for the post lucky! got to rebook getting first class both ways! @ Beachfan — 99.9% chance they won’t. They don’t have that many more A380s on order. 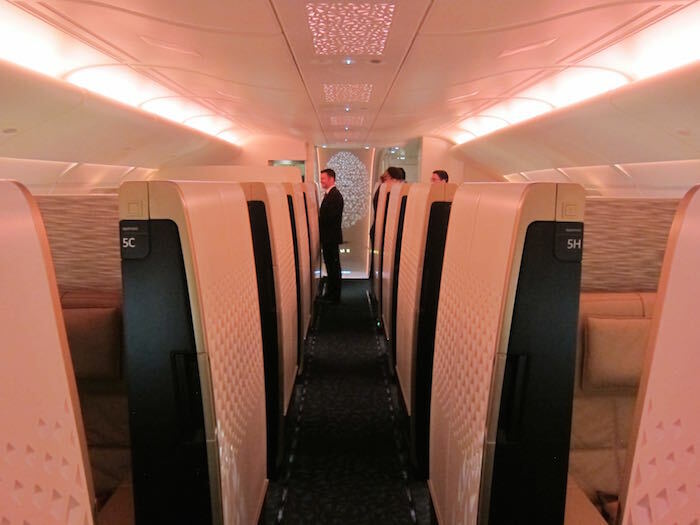 Maybe you can consider writing an updated post about maximizing Etihad’s chauffer service. With so many of us now flying in their premium cabins (with lots of thanks to you! ), it would be great to know how to get the most out of it. YOU ARE THE EVERLOVING MAN. YOU ARE THE MAN. YOU ARE THE MAN. YOU ARE THE MAN. I just called AA and ticketed a CLT – JFK – AUH and put a return on hold AUH – JFK – CLT for a 5 day span in February. Now if I can only convince my wife that we can leave our daughter (who will be 14 months at the time) with grandma and grandpa so we can LIVE IT UP! 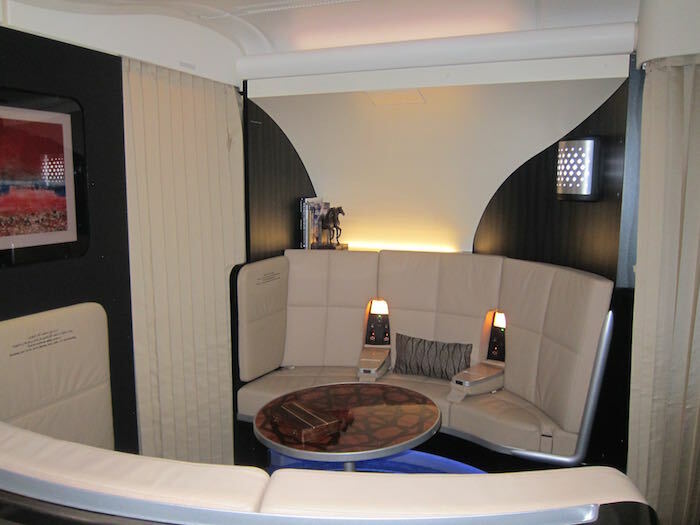 Does Etihad provide Chauffer service to First Class? That is if we really want to go to Dubai can we use an Etihad Chauffer or do I need to arrange transportation? Snagged 2 seats to the Maldives LAX/AUH/MLE for 90K miles each over my b’day in March! Been really wanting to try EY’s new Aoartments on the 380. Great tip, thanks Ben (again)! Put 2 tickets in F on hold. Any suggestions about what there is to do in Abu Dhabi, and how many days to spend there? Two weeks, departing next winter in early 2016, we booked SFO-FRA on Lufthansa, FRA-BKK-DPS-SIN on Thai, SIN-DXB-SFO on Emirates….all in first ;)…. if only this was available a few weeks sooner could have had a slightly BETTER trip…. One (I use the term loosely) more question. Worth staying in Abu Dhabi or traveling to Dubai, and if so approx. how much does it cost to get from Abu Dhabi to Dubai, and Park Hyatt Dubai or Abu Dhabi? A very hearty THANK YOU to both the Ask Lucky commenter and to you Ben! We just snagged two seats shortly after Christmas… ORD-LGA-JFK-AUH-BOM. Can’t wait! @MarktheShark: check out Oman if you have time rather than spending too much time in Dubai or Abu Dhabi. The bling in those cities is cool, but it’s tough to find something most people would consider amazing. Oman is on the NYT 52 places to see in 2015 in case you needed a little nudge. Lucky Thanks as usual. Was looking for a way to Dubai to take advantage of the BA flight mistake fare back to LAX. Taking my 8 year old son!! He’s already been on F in Korean, Singapore and AA. Keep on writing!!! If my wife and I are traveling, will I be able to book just one of these (and pay for one), and both of us fly in it? How would that work in terms of ticketing? Or, would we each have to get our own ticket? 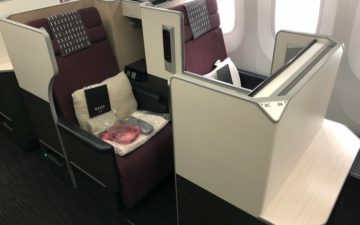 Would it be possible to book SFO-JFK-AUH-BOM all for one 90k AA award? Just booked AUH-JFK for February. You’re so awesome Ben!!!! I have some time to figure out my outbound flight. Maybe, from now till next February, a good deal will come along for my outbound. Wow– we were able to snag them both ways thanks to you!!! Since you’ve been on it already which seats would you recommend for a couple? Thanks again!!! I’m late to the party. It seems there are no seats left for a R/T. Quick question, how much is the AA’s cancellation fee of award ticket and get the redeemed mileages reinstated into the AA account? Thanks! Offtopic:Did I miss a news/message that you are “retiring” from the Ask Lucky section or taking a break? I’m just curious and understand that it might be too much work sometimes. 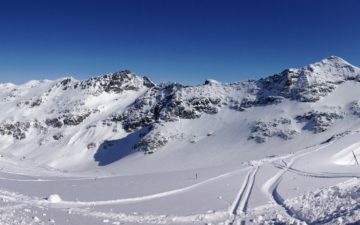 @ Thomas_888 — I’ve had an insane past week and have been sick to boot, but hope to get back to it ASAP. Sorry! @ David — $150 for the first passenger and $25 for each additional passenger on the same PNR. @ Chris M. — Yes. @ Andrew — Nope, you need to book one per person. @ antignos — Lucky kid! @ Mark the Shark — All depends how long you’re there and what you’re into. I think Abu Dhabi and Dubai are both worth at least a couple of days. All depends what service you use, but should be able to get a car for well under $100. Also keep in mind that Etihad offers complimentary chauffeur service for first class passengers. Otherwise you can continue to Oman or India, which might be my preference. @ gstork — Enjoy the trip! @ Tocqueville — Yep, they do indeed offer a complimentary chauffeur service anywhere in the UAE for first class passengers. Sounds like a well deserved vacation for you! @ Craig — As far as I know nothing has changed with their chauffeur service as far as awards go, but if it has, I’ll write an updated post. Lucky, we booked a flight in the apartments from AUH-LHR, and then LGW-FNC the following day on British Airways as one ticket. Do you know if we can use the chauffeur service on arrival in London? London isn’t our final destination but it’s our final stop with Etihad, we don’t have our next flight until the following day, and we’re not even flying out of the same airport. has anyone’s trip ticketed? mine still says “On Request on 05/09/15″… it’s been well over 12 hours as i was the first one to book this… wth? @ Lantean — That’s normal. It can take 24 (or so) hours for partner awards to ticket, especially when they’re booked far in the future. OK, thanks I’ll wait. My cc has not even been charged yet. @ Lantean — I gave credit to where I saw it, in the forum. Did you see the “tip of the hat” at the bottom of the post? Where did you alert me of it? I certainly always try to give credit where due. aha, I see… it is my post on ask Lucky you credited… but for some reason it’s not showing I wrote it… odd. it just says “reader” even tho I filled my name and email when I posted it. maybe “ask lucky” needs some tuning? Family of 4 looking to book 2 in business and 2 in first. Would the 2 in business be able to visit in 1st for meals,or anything longer than 5 minutes? or is there enough room for the 2 in first to visit in business? Would the 2 in first be able share their apartment with each other during the entire flight including takeoff and landing? I know it wouldn’t be the best value, but daughter might not like having an apartment to herself and want to be next to Mom the whole time…. Also, if only 1st get chauffeur service, is there a way to include the other 2 in business on the transfers? Thanks! @ Lucky Much needed vacation indeed! Especially by February 2016. And thanks for the info on the chauffer. I have the Park Hyatt Dubai booked on points + cash for 4 nights and have applied a Diamond Suite Upgrade to a Park Suite. Comes to 40,000 Hyatt Points + $650 including taxes/fees I’ll buy a Hyatt Gift Card from http://www.cardpool.com at 90 cents on the dollar to get the $650 taxes/fees down another 9-10%. Let the crew here know if you will set up a meet up thread/sharepoint for the takers who might go to Dubai/Abu Dhabi. Also it looks like the JFK Etihad F lounge and AUH Etihad F lounge will be complete by then – so hopefully the folks enjoying this availability can enjoy the brand new lounges. @Tocqueville – one of the Hyatt instruments, I think gift cards, are only good in the US. Gift certificates I think are good around the world (or vice versa). But if the hotel isn’t normally charging in US dollars, you’ll get the hotel exchange rate which will eat up most of the savings. Thank you so much for announcing the new availability, Ben! I was able to change my return flight from AUH->LHR to AUH->JFK so I will now spend 14h 45m in a luxurious first apartment instead of a mere 7h 50m. And I moved the date to something that works much better for me. Well worth the hassle of revamping the front end of my trip. Thank you too for your post about American’s “AAdvantage University” promo. I received the email invite from them but the subject line was vague and had no mention of 1000 bonus miles. I probably wouldn’t have opened it if you hadn’t written about the promo. Was inventory pulled or did the blogger community snap up all the seats? I am finding 0 availability right on 99% of seats. @ keith — I think a vast majority of the seats have been booked at this point. @ tara — So happy to hear, that’s an awesome value! @ Trup — Technically you’re not allowed guests at all from other cabins. You can visit one another if you’re in first class, but can’t bring a guest from another cabin. Though I suppose it also depends on the crew. @ Lantean — Got it now, sorry about that. As far as the naming goes, everyone else has been able to post under the correct name, so maybe just make sure you’re logged into the account? Regardless, have attributed post to you now. Appreciate the heads up! @ Matt — I believe you should still be eligible for a chauffeur. when will you be flying? I am on JFK-AUH Feb 5, and AUH-JFK Feb 18.
maybe there could be a google or a facebook group for this like there was for the Beijing fare? it’d be fun to meet other mile junkies. I think I missed out on this one. Just checked Feb through March and saw 0 days with 2 seat availability in first. Did I snooze and lose on this one? i think 2 seats per flight are gone for JFK-AUH but there are still some days for AUH-JFK. just have to search day by day. Like Lucky needs some schmo (not saying it would be you) to call Etihad and change his itin? You want meetups, use FT. The number of requests asking Lucky for his flight info is sorta creepy. 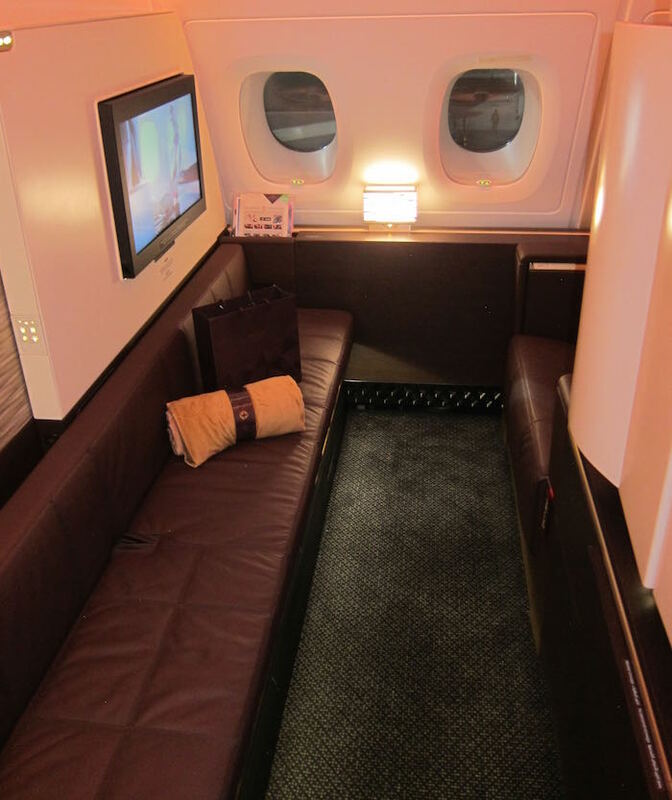 2) Does Etihad do what JAL and CX do with last minute award seats? Probably not huh. Wow. Looking on the EY website, the F award seats did get sucked up quickly – just a few JFK seats here and there. I’m really curious about what, if any, corporate strategy was behind releasing all those seats at once. @ shaky02dd — Can’t set alerts on ExpertFlyer, and they do seem to open up a good amount of last minute award space. @ Lantean — Did that for the Beijing fares, I’ll see if I can set one up for this as well. Did anyone get ticketed yet? Mine has been pending for 30+ hours… Wonder if we overwhelmed Etihad! Mine was ticketed same day today. It was a change to an existing award itinerary. I remember my original reservation took a few days to ticket, just like MrLandz’. AUH -> JFK: There are 2 seats each on Dec 23, Jan 28, and Feb 04. Weird, I upgraded J to F as well. I suppose I’ll wait until the 48 hr point and give AA a ring. 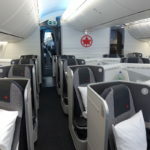 Is AUH-JFK-YVR-LAX allowed as a single 90k first class ticket? Or will transiting through YVR make it become 2 awards? I want to avoid JFK-LAX in American A321 F if I can avoid it. SEE YOU ON DEC 1 BEN!!!! Just received my e-ticket confirmation exactly 24 hours from booking. I noticed on my confirmation that I was charged the $40 telephone ticketing service fee. Just called AA and they said it was a mistake and will refund the $40. FYI – check your e-ticket confirmation to make sure you were only charged the taxes and not the telephone ticketing service fee. Confirmed on EY102 in F and EY454 in F, ticketed the award through AA, so my AAdvantage number is on the reservation. I am an AA EXP, however I am also a base member of Etihad Guest. Is there any benefit at all to changing my FF number on the reservation from my AA to my EY number since Etihad is the operating carrier? I ponder this basically every time I book a partner award. @ Andy — Nope, no real benefit. You’re already a first class passenger, so not really any potential benefit. @ John — Happy you got it ticketed, and thanks for the heads up. @ Joe — In theory it should be allowed. @ Steve — Nothing unusual for travel way in the future. You have nothing to worry about. Ben, is there a new way to select seat online? the old workaround doesn’t seem to be working any more… and what about the driver? can we select that online too? Hi Ben! Yesterday I’ve just ticketed BOM-AUH-JFK-YVR. It was ticketed in less than 10 minutes. JFK-YVR had to be in J, since I could not find F in CX. Now I’m thinking about using Alaska and go full F on Emirates to India or Asia, probably Singapore. @ George — Awesome redemption! @ Lantean — Unfortunately not, best I can tell. As Ben has mentioned in past posts, 3A,4A OR 3K, 4K are the best seats for traveling couples. what’s shocking to me is that there are still seats available AUH-JFK Feb 26, Mar 3, Mar 6, probably other days or other direction too… seems like they have at least 2 seats each… i would have thought this would be long gone, I guess not many people want to fly Etihad apartment… weird. @ Lantean — Hah, I don’t think it’s that people don’t want to fly it, but rather that only a small subset of people in this hobby are savvy and actually searching space directly through Etihad. And presumably availability does change periodically, as some people are canceling/changing dates. @ Eric — Enjoy the trip! I know that this is an old post, but… found it when drilling a bit. Some of those award seats appear to be reasonably ‘priced,’ with AA Miles, but be careful!! If you have difficulty with very large numbers, count the number of digits used. Unless I’ve misread something, a few options appear to price in excess of Three Million Miles/Points. Ouch!